The Law Society of Northern Ireland reserves the right to amend or cancel any event.Should any event be cancelled a full refund of the registration fee will be made. The Law Society of Northern Ireland can accept no further liability if the event is cancelled, including no liability for any expenses incurred as a result of cancellation. If you have any special dietary requirements you must give us written notice at least 10 working days before the event and a supplement may be payable for special dietary requests. Payment must be received by the events team prior to the event, if the balance is outstanding we will require credit/debit card details at registration from the delegate. No refunds will be given for cancellations that occur at or less than 10 working days from the event date.If you wish to cancel more than 10 working days before the event, you will be refunded the registration fee less an administration charge of 20%. If you cancel your place prior to payment, you are still required to pay either the 20% administration fee or the full costs dependant on the time of cancellation. If you need to remove a delegate from your booking or cancel it completely please contact the CPD or Events Department:Law Society of Northern Ireland 96 Victoria Street BelfastBT 1 3GN Telephone: 028 90231614 Please be ready to quote your date of booking (these items can be found in your booking confirmation email). Please note that the delegate price may vary depending on the membership of the new delegate. You may substitute a colleague without charge, provided you confirm their full name in writing before the day of the event. If you need to change details of your booking please contact the Events team for advice using the contact details above. Please be ready to quote your booking ID and date of booking (these items can be found in your booking confirmation email). 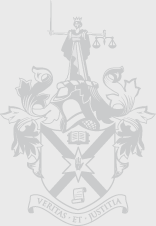 The delegate and the firm/organisation are jointly and severally liable for payment of the fees due.The Law Society of Northern Ireland can accept no liability for any loss suffered by any person acting or refraining from action as a result of the material delivered during or in connection with the event. Acceptance by the Law Society of Northern Ireland of your booking will give rise to a legally binding contract between us on these terms and conditions.